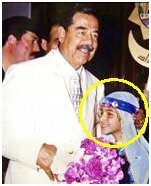 De-Baathification is the term used to describe a series of legal and administrative measures introduced in Iraq shortly after the April 2003 fall of the Baathist regime. 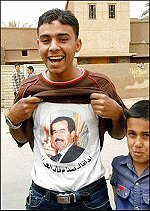 The overriding goal of de-Baathification was to prevent the Baath Party from returning to power in Iraq. Baath members were not individually assessed on the basis of their competence, participation in human rights violations, or other measures of integrity. Instead, individuals were dismissed from government service depending on their rank in the civil service or Baath Party. The key assumption was that any member of the topranks of the party must have been ideologically committed to Baathism or had committed acts that seriously violated either international human rights standards or other key social norms. From the moment it was introduced in May 2003, de-Baathification was controversial. 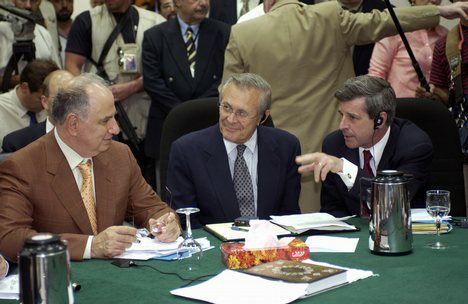 Bremer arrived in Baghdad on May 12, 2003; four days later the CPA issued Order 1, “De-Baathification of Iraqi Society,” followed quickly by Order 2, “Dissolution of Entities.” These two orders established the initial framework of Iraq’s de-Baathification policy and were followed by many more. 2. All individuals at the three highest levels of management positions (that of director general and above) who held any level of party membership. The order also forbade displaying images of Hussein and other senior leaders, sought to initiate criminal investigations into alleged crimes, and authorized rewards for information leading to their arrest. Based solely on party membership and rank, the exclusions assumed that these ranks represented the party elite and that people within those ranks must have committed serious violations of human rights. There was a similar rationale behind the dismissal of high-ranking managers: that no one at the level of director-general or above could have obtained or held their positions without individual involvement in party misdeeds. By making these assumptions, the orders created a de-Baathification program with several serious flaws. First, it was built on the presumption of guilt—not the presumption of innocence, with guilt collectivized. This presumption poisoned both the process and politics of de-Baathification for years to come. Order 2 dissolved the Iraqi armed forces, security services, party militias, and other organizations notorious for their roles in party affairs or which might otherwise afford Baathists opportunities to return to power. These organizations included the secret intelligence service (mukhabarat), the Ministry of Defense, the army, navy, air force, Olympic committee, and others. All military ranks and titles were abolished, conscripts were released, and employees dismissed, as of April 16, 2003. The decision to dissolve the Iraqi armed forces has inspired bitter controversy. Critics have argued that putting hundreds of thousands of potentially armed unemployed Iraqis on the streets—and removing the traditionally significant social prestige accorded to the Iraqi armed forces—contributed immeasurably to the creation of the insurgency that followed. In September 2003, the de-Baathification commission significantly changed de-Baathification’s framework. Although it targeted the same party and managerial ranks as the CPA, the commission vastly expanded the scope of de-Baathification. It prohibited certain categories of people from holding high-level positions in the new state bureaucracy, politics, civil institutions, or the media. Dr. Ayad Allawi, a former Baathist and Shi’ite secularist, was hostile to the commission’s work. As Iraq’s armed insurgency gained strength, Allawi reportedly favored limiting de-Baathification to a small number of key Baathist leaders, thereby strengthening Sunni commitment to the political process and perhaps enticing insurgents back to the negotiating table. Instead, Ahmed Chalabi and other supporters of de-Baathification fought virulently against any change in policy. The year 2005 was marked by struggles to write Iraq’s new Constitution and maximize political power in the elections that followed. 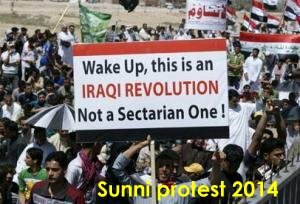 Sectarian attitudes were hardening: Sunnis lacked representation in government and felt victimized by de-Baathifi cation, while an armed insurgency raged in many Sunni areas of the country. Shi’ite politicians were flexing their muscles but genuinely feared a return of Baath Party rule, fanned by Allawi’s softer position on de-Baathification. Advocates of de-Baathification triumphed in securing strong de-Baathification provisions in the new Constitution. The Baath Party was prohibited (Article 7). In highly protective language, the de-Baathification commission was to continue until it had “completed its function”. People subject to de-Baathification were banned from the Presidency Council, Prime Ministership, Parliament, and, in broadly drafted language, from other equivalent judicial, provincial, and state positions (Article 135). The Maliki government assumed power on April 22, 2006. Maliki, a former deputy chairman of the de-Baathification commission, was seen as a strong de-Baathification supporter. Sunnis repeatedly portrayed de-Baathification as “de-Sunnificiation,” complaining that de-Baathification had become a sectarian instrument wielded to prevent Sunnis from participating in public life. The presumption of guilt inherent in de-Baathification processes—and the collective nature of that guilt—made the claim hard to rebut. Resentment was stoked further, caused by the commission’s strong Shi´a political ties and lack of transparency as well as its lack of accountability. The main Shi´a political parties strongly supported de-Baathification, particularly the Sadr bloc, to whom Maliki owed his prime ministership. The Sadr movement had a powerful armed street presence, and one of its members assumed leadership of the parliamentary de-Baathification committee. It was political pressure from Sunnis and the US government that forced the new government to consider changing the de-Baathification process. With rising violence and midterm elections looming, US officials decided that reforming de-Baathification was essential to lessening sectarian tensions. – Design a vetting program, not a purge. De-Baathification dismissed people based on rank, not behavior, and this created serious problems. – Don’t create a monster. The framework, powers, and oversight of any vetting program should be defined clearly, and it should be carried out for a limited period of time. – Look to the future. Design a program with criteria that can help protect against future abuse: think about promotion, recruitment, and other procedures, not just dismissals. – Observe basic standards of fairness. This is strongly related to the first lesson. Fairness is not just a legal issue—it protects a vetting program from political manipulation and increases public confidence. Vetting programs should respect the rule of law, or else they can undermine post-conflict reconstruction and transitional justice goals. The International Center for Transitional Justice is an international non-profit organization specializing in the field of transitional justice. Dit bericht werd geplaatst in America, Anarchism, Barack Obama, Culture, Education, History, Holism, Honesty, Human Rights, Humanism, Imperialism, Iran, Iraq, Islam, Justice, Life, Middle East, Politics, Socialism, Spirituality, Syria, White House, Zionism. Bookmark de permalink .